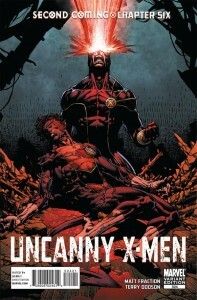 I suppose there had to be a let down somewhere along this wild ride and X-Men: Second Coming Chapter ø6, you’re it. Spoilers to follow along with a lot a disappointment. I looked at a preview for this book last week, so I knew I was going to have some problems with it. The problems come from some art choices that were out of place, and must have resulted from a miscommunication among the writer (Matt Fraction), artists (Terry and Rachel Dodson) and editor (Nick Lowe). It’s got nothing to do with the caliber of the work, in fact the issue looks decent although too cartoonish in places for my tastes, but I’ve come to expect this from the Dodsons’ style. On the opening page we see the X-Men’s sick bay with Colossus offering a DVD to Shadowcat who’s stuck in a containment tank after her traumatic experiences in the space bullet. I was a little thrown off by the smile on his face given the fact that one of his closest friends and teammates just died, but maybe this is his way of coping. We then cut to a scene of the X-men standing around the recently fallen Nightcrawler and I realize that the entire away team has just returned and Colossus should be right there with them! From there it gets worse as one of the characters around the body says to Hope, “bring him back.” I always like to know who’s talking and notice that it’s is a blonde woman standing with the away team. 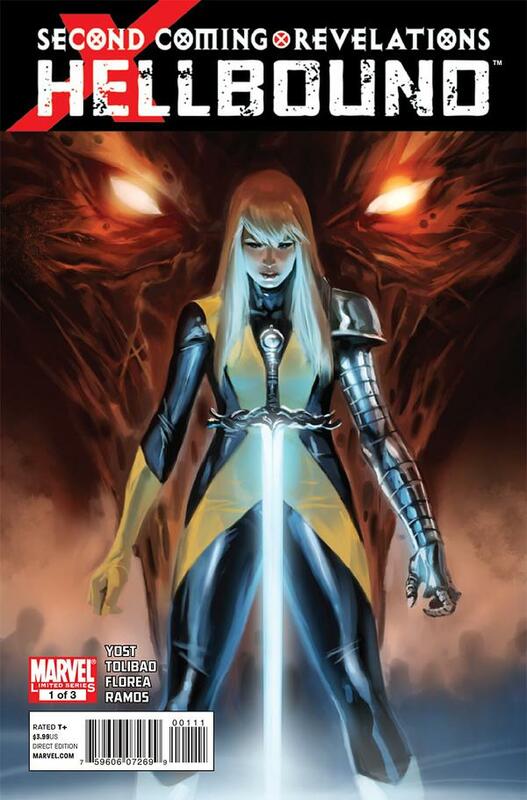 This is clearly supposed to be Illyana, who had been with the away team, but is now trapped in Limbo after a mystical attack. There’s a whole miniseries that ties into Second Coming dedicated to telling that story. In fact, a big part of this issue is a set up for it. I realize things like this happen, and I’m not sure where exactly the blame falls, but it really hurt my experience reading the book. I fully realize I’m raising a nerdy hand and objecting to things, but these mistakes are kind of a big deal. Things were really coming together nicely in Second Coming and this is a really unfortunate set of errors. The real shame is that some good things do happen in the book as Utopia is infiltrated and the memorial service for Nightcrawler touches on some palpable emotions, particularly from Beast and Wolverine. 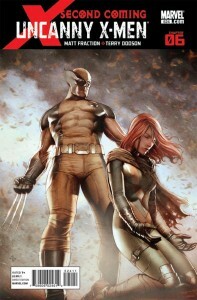 Dealing with the death of a major character is a tough task for any creative team and this issue could have been great. The odd posturing of characters and the misplacing of others made that impossible. I’m giving this a generous two out of five. It has some needless mistakes that I can’t abide and it’s a real disappointment given the high bar set by the chapters that preceded it. The covers are again beautiful, and this week it might be too tough to make a call on which is better. Of course that could be a result of my annoyance. This book was a pleasant surprise. Wrapped in a Marko Djurjevic cover with interiors by Harvey Tolibao, Sandu Florea and Jay David Ramos, Chris Yost’s writing really shines. 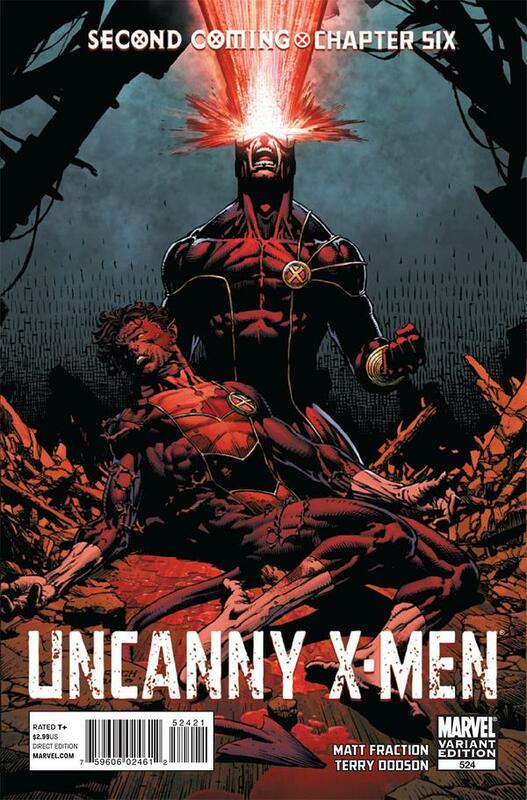 The book captures all of the emotion that should have been part of this week’s Uncanny X-Men, focusing up front on Colossus who has not only lost a close friend in Nightcrawler but also lost his sister Illyana again. The book proceeds to bring together a cast of characters, most of whom haven’t been featured in Second Coming, as a rescue team for Illyana. The most intriguing being Gambit, as we see more of the mystery surrounding his transformation at the hands of Apocalypse. By the end, it’s unclear whether he’s friend or foe. The artwork is solid, although the faces are little weird on some pages. The frenzied confusion of Limbo is well captured once Pixie, Anole, Trance, Northstar, Dazzler, Gambit and Cannonball arrive. The team is immediately beset by demons and we get to see the return of two classics in S’ym and N’astirh, who are waiting for their moment to strike. A backup story features reprint material from the 1983 Magik limited series that introduced Illyana’s Soulsword. The cover to issue 4 is shown, but the last page reads “Continued in Magik #4.” This confusion led to my looking up exactly what this stuff was with my seldom used Marvel Digital Comics Unlimited subscription. 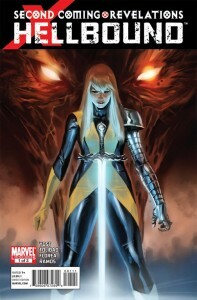 The backup consists of pages 4-14 of Magik #4, and I’m assuming we’ll get the rest of the issue in Hellbound #2.